This was one of Grandma’s favorite stories. She was very proud to have pulled one over on the big car dealer in the county seat. There’s a picture of the car, along with Fanny, in a recent post called “The Kids Travel to Nebraska.” There are actually a couple of pictures of family members with that car. I take that as a celebration of a good car and a good deal. The family drove a lot of Chevy’s and other GM cars from then on. In 1939 Mama + Papa bought a ’37 Chevie from Mr Bertleson, the Chevrolet dealer in Steele. In the spring Mama had bought a thousand leghorn roosters to raise for fryers. 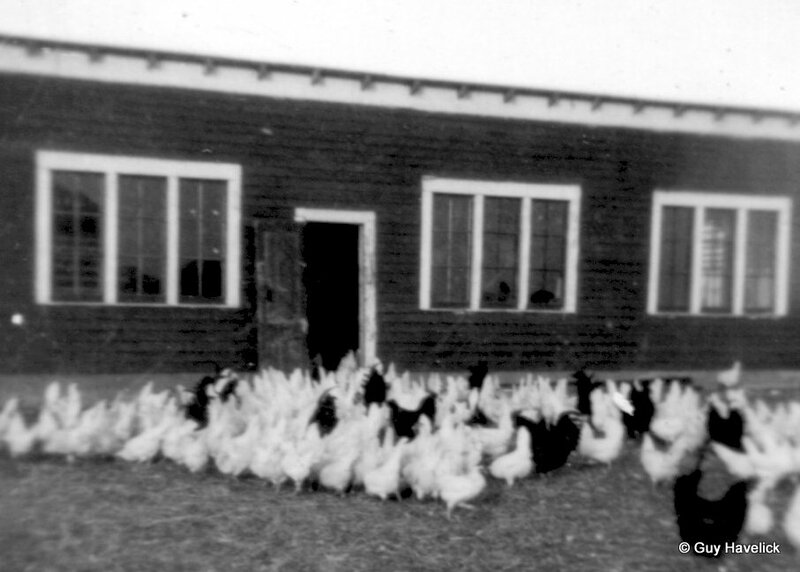 Ernest Williams, the folks longtime friend, was selling cars for Bertleson and got the bright idea to trade the car for the chickens. Ernest brought Bertleson out to see the chickens and made the deal for the car. Actually the price was pretty fair for the car as it was but Bertleson thought the caponized roosters were pullets and got big dreams about all the eggs they would produce. He went back to Steele and proceeded to build a chicken house for his newly acquired flock of hens. Of course castrated male chickens have never been known to lay eggs so he was the brunt of many jokes for a long time and we had a good car for many years. This entry was posted in Grace's Letters and tagged 1937 Chevy, capons. Bookmark the permalink.